The secret to The Maschhoffsʼ success has always been its people. 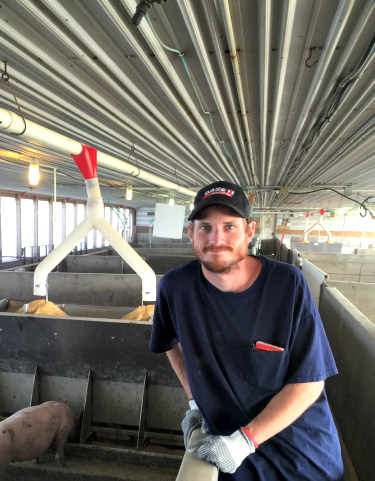 The key has been finding people who are passionate about pigs and share the same family values that have made this company successful. If youʼre looking for an opportunity to work with animals as part of the best team in the pig business, look no further! This role leads a team of animal caretakers with accountability for the financial and biological performance of a BTW farm. The position establishes team excellence in executing standard work, operational efficiency, asset management, and driving results while managing change innovation and driving continuous improvement. This role expands the capability and capacity of the team through effective hiring, staffing, and fostering a culture of personal leadership, development of leadership, technical and animal management competencies and empowering caretakers to exercise business judgment. In this position, you would carry out daily care of the animals, ensuring adequate access to feed and water, monitoring the barn environment and making sure pigs are comfortable. As an Animal Caregiver, you’d be trained to specialize in a certain function, whether that’s breeding, assisting during piglet birth or caring for young piglets. Imagine yourself in the driver’s seat at The Maschhoffs in a career that opens the door for you to drive newer model equipment on local and regional routes. We’re looking for livestock drivers to join our team out of Louisville, IL!